Don’t know what to get for your favourite knitter? 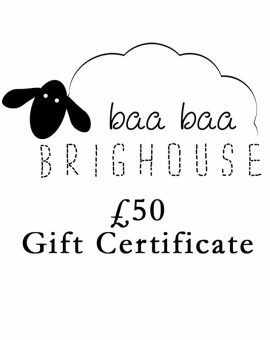 Not to worry, give them the gift of a Baa Baa Brighouse gift certificate. Gift certificates are delivered by email and can be redeemed in our checkout. 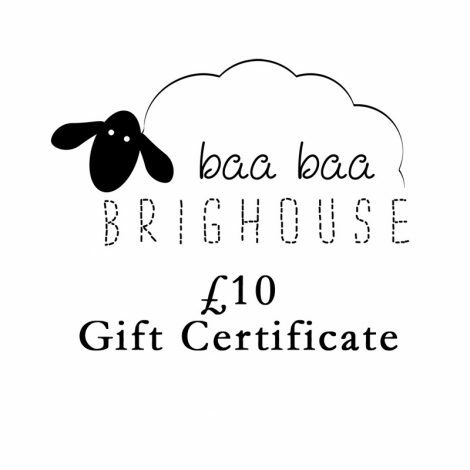 The Baa Baa Brighouse gift certificate has no additional processing fees and can be used for anything in store. Available in £10, £25 and £50 amounts.